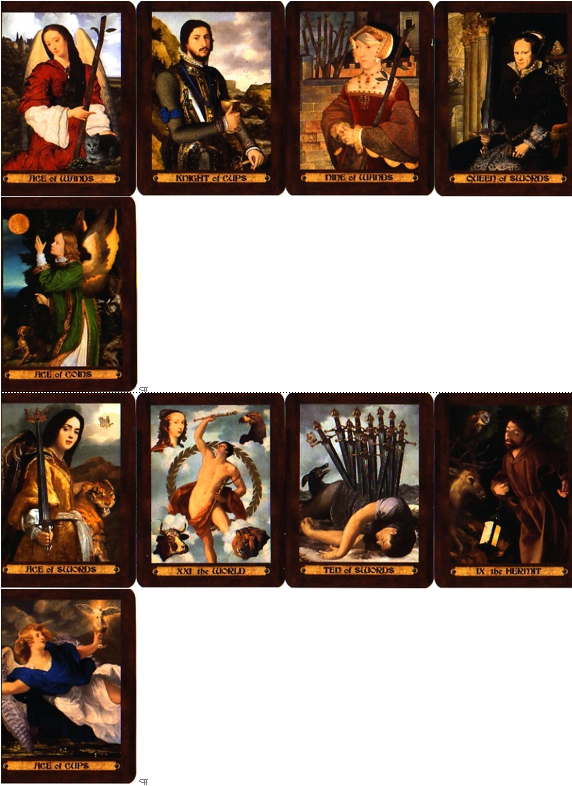 Most of you have seen or used a spread with four positions based on the four suits of the Minor Arcana. Usually it describes what is going on at four levels: body, mind, emotions and spirit, or some similar quaternity. I sometimes lay out four aces from one deck as position holders and then lay cards from a second shuffled deck on top of each ace. Sometimes a fifth card/position integrates the whole or offers advice. But, there’s a much more interesting way of using the four aces that also offers far more information. • Determine the Spread Intent before you begin (see chart below). • Shuffle your deck thoroughly, cut, restack and then turn cards over one at a time. • When you get to the first ace, take the ace and the three cards that follow and place them on the table in a row (left to right). Continue turning over cards until you get to the next ace and the three cards following it. Place them on the table below the first set. Continue with the next two aces until you have four rows of cards on the table. Exception: if one ace follows another without three cards in between, then the first ace will have less than three cards in its row. The meaning of the short row will depend on what you intuit it to mean in the circumstances. Sometimes it strengthens the card(s) that did turn up. If there are no cards it could indicate that area is not involved in the situation being discussed (consider whether it should be). 1st Ace: The Main Character. The primary focus of your attention and energies right now. 2nd Ace: The Complication. An area you have not been paying as much attention to but can interfere with what’s going on in the first row. 3rd Ace: The Sidekick/Guide. A secondary focus or emphasis. It may help you resolve tensions between 1 and 2, or suggest helpful actions. 4th Ace: The Upstart. Something new or “renewed” that will be assuming more importance, possibly as a result of your interactions in the other three areas. How are Love/Relationships the primary focus of your energies? How are issues around Money and Security interfering? How might focusing on Work and Creativity help? Will you soon need to think about Problem-solving to overcome a difficulty? Then, read each row of three cards as a unit that describes what’s going on in that position. Ignore the Ace except as it sets that row’s meaning. Special Cards: The Fool appearing in any row indicates that things are not like they seem; a trickster element is present. The highest Major Arcana in the spread trumps all. You can triumph best by paying special attention to the qualities and lessons of this card and its position. The sample reading I did was quite extraordinary. My intent was a “Life Sphere” reading. The deck is Kat Black’s gorgeous Touchstone Tarot (catch Kat Black’s interview about this deck on Tarot Connection). Notice that an angel designates each ace. Row 1: I am feeling challenged and hemmed in (9 of Wands) by decisions I need to make (Queen of Swords) about the work I love (Knight of Cups). Row 3: I can successfully triumph (World) over the most extreme difficulties (10 of Swords) by calmly applying my wisdom and experience (Hermit) and by letting go of something that is not going anywhere (10 of Swords again). Summary: My overall feeling is that, in order to focus on the work that is most fulfilling to me I need to defend my choices of creative work (despite their not bringing in money) and weed out whatever I can from my list of obligations. If it’s a problem that can’t be solved then I shouldn’t continue trying to do so. While relationships are not at the forefront right now, they will eventually become important again. With the Queen of Swords as my standard Significator and the Hermit as my Soul Card, I’ve got two indications that this is more important than it may seem and the whole issue rests on my own decisions and clarity of purpose. The World as the highest Major Arcana suggests that I can triumph by eliminating what is not part of my Hermit path. Now’s not the time to worry about money or love—although I should be aware that what I’m doing is not helping either. Mary, I just did a talk on the tarot in Bakersfield with their magickal meet-up group with Lon DuQuette in attendance. I shared my theory of the aces and how that changed my personal tarot . I then find this spread on your blog. It was perfect timing. You influenced my spiritual quest very heavily with Tarot for Yourself. Now, you’re helping me round out an important realization in my life. This looks so interesting Mary, that I’m just gonna have to try it! This spread is awesome. I will work on a post using my cards tomorrow. I would like to try this spread out to see what I get. BTW, love all the awesome stuff you are putting on your site. I look forward to hearing how your spreads work out. This spread looks very interesting and I shall certainly try it as soon as my Golden Tarot deck arrives! Thank you so much for the inspiration, I just love spreeds that have just a bit of structure, but a lot left to the intuition. I love how you handled the spread you posted on your blog (see link above). It’s great to see other examples. The Tarot of Dreams deck is amazing to see with it. I think any deck that uses a strong color theme for each suit will help create another visual dimension for the spread. Everyone – feel free to post your own readings with this spread or link to a place where you have written about it. You always come up with such fantastic layouts, Mary. A tip of the pointy hat to you! Love the spread! I am going to give it a try tonight. Thank you for posting this spread when you did Mary. I fell off a ladder on Tuesday and suffered a sprained body and minor concussion and was forced to bedrest for a few days. When your slate is wiped clean in such a way the Aces are vibrating all around~this was perfect. Here is what I got, I’d love to hear objective viewpoints about what it all means! I used the Universal Waite deck and find it utterly fascinating. Trying to bite my interpretative tongue in hopes of hearing what others find most poignant. Thank you !!! I want to be clear that this is not a forum for obtaining readings from others. There should be no expectation that anyone else will provide you with an interpretation. As with most forums that are not reading exchanges, it’s really up to a person to do his or her own reading. Once you’ve shared what you, yourself, got out of the spread you can indicate you are open to comments from others, or ask a question about one specific thing that confuses you. But no one has any obligation to respond. Maribeth – sorry to hear about your accident and I hope you are getting better. Without the “Spread Intent” – mentioned twice in the instructions – there’s no concrete basis for interpreting the spread. Perhaps that’s the Trickster in the Complication Row? The 3rd row, Guide, does seem to be recommending bed rest. What a great spread, Mary. I just posted on my blog a reading I did for a client using that spread ( http://ginarabbin.com/blog/ ). After I posted the reading, I noticed that the order of the four aces in the spread I did were exactly the same order as the graphic you posted: wands, cups, swords, coins! I appreciated reading the spread you did. It was a good example. I especially like that this spread not only looks at four areas of your life—like many quaternity spreads, but weighs each one in terms of how they relate to each other. I finally got the time to sit down and post my results. This spread is very amazing and touched on some of the themes that I have been struggling with for some time. I used Robyn Hollister’s All Hallows Tarot to be festive with the reading. The Ace of Swords being the first Ace to appear in the spread reveals the current mental struggles I am going through. I am putting together a new website that will take an enormous amount of time and energy. The Hanged Man straight on reveals the sacrifices I will need to make in order to pursue this goal. What will I have to give up? The Ace of Cups is the area that is complicated in the reading. Cups, of course refer to love and relationships. One of the areas that may need to be sacrificed is my social interactions with others. This could involve both my non-career oriented friends as well as people I am involved with professionally. Since I am a Leo being involved with people and having exchanges with them is important to me. The Ace of Wands is the “Guide”. The cards in his row reveal things quite clearly. The Queen of Wands and 8 of Wands reflect the need to move forward and be true to myself. These two cards along with the 7 of cups reveal that the choices that I make need to be based on my needs and my personal career direction, and not necessarily the needs of the people around me. However, I could balance out my social needs by discussions and interaction with those around me that I wish to participate in my new website. Thankfully, finances and security are not an issue revealed by the Ace of Disks appearing last. Although future decisions will need to be made that I cannot see at the moment (2 of swords) it does show that with any enterprise concerns and issues will come up, but I must always make choices based on my own happiness rather than what may please others. Thanks for a great spread Mary. I will post my example on my blog and refer people of course to your site to learn how to do it. Thanks, Mary! I needed a new spread for the change of seasons. * A Marseilles style deck was used. * The spread provided similar messages when read by rows or columns (I acknowledge it might not always be the case). * Interaction between rows is a nice concept indeed, clearly understood how lessons from row 3 can be applied to row 2. * The order of the Aces alone gave me a lot of thought food and insight. * Can’t recommend it enough to those who had not tried it yet. Again thank you very much for your teachings. Thanks for sharing your spread examples. This is a real keeper. Mary, I am intrigued by your reference to The Fool as a trickster. I view The Magician as the trickster/coyote and The Fool as innocence/anarchy. As I scanned the comments with this confusion in mind, I zeroed in on the comment by Maribeth. Without looking at her cards (this is not an interpretation of her spread, but of her words) I saw indecisiveness and a bit of self-denial. For me, an indecisive period can be an indication that I am expecting reason when intuition is called for, and that is what The Fool sometimes says to me. In other words, I didn’t necessarily need to hear a Spread Intent statement from Maribeth as the subtext in her language indicated she was doubting her intuition (looked forward to someone else having some objectivity) and felt “forced” to rest. Your book “Tarot Constellations” is one of three books I consult when reading my cards. Your statement that “the highest Major card trumps all” also intrigued me, as I tend to look at the constellation with the largest presence in a spread (including the Minor cards) as trumping all. I am completely bowled over with the framework of the four rows in the aces spread. It is almost exactly the formula for literary fiction. The cards tell me a story. Google Fool + Trickster and you’ll find all kinds of lively discussions about how these two relate. I view both the Magician and Fool as different expressions of the trickster archetype. For instance, I sometimes find that what you may be calling the Fool’s intuition is more whimsy. It can be serendipitous or just plain foolish. Much depends on the deck. For example a Marseilles Fool is more likely to indicate that you just aren’t paying attention. In this spread, the “highest trump trumps all” rule is based on principles I’m learning from much older “forgotten” spreads. Feel free to make this spread your own, with rules that make sense to you (though I always appreciate getting credited for the original). It’s great that you picked up on the story structure of the Aces. It helps put elements in context. 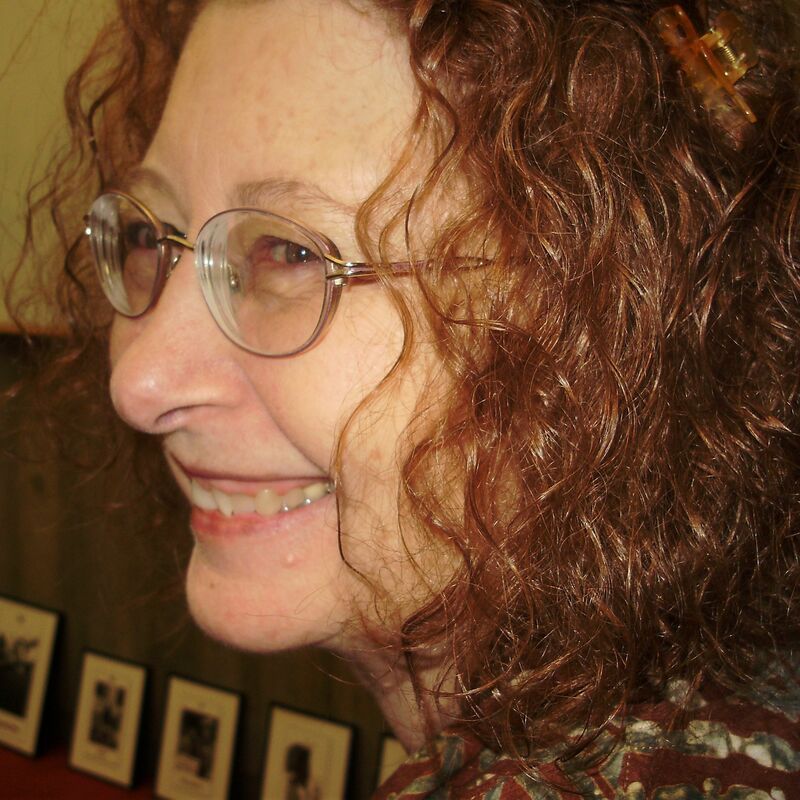 Check out the Giving Thanks Aces Spread at Corrine Kenner’s Tarot Blog above.